Dining out can be a major stumbling block for many avid clean eaters and fitness buffs. Not only do many restaurants serve large portions of high-calorie foods, but it can be extra hard to stick to your healthy-eating plan while your dining companions are chowing down with abandon. However, your social life shouldn’t have to suffer just because you’re trying to eat clean. 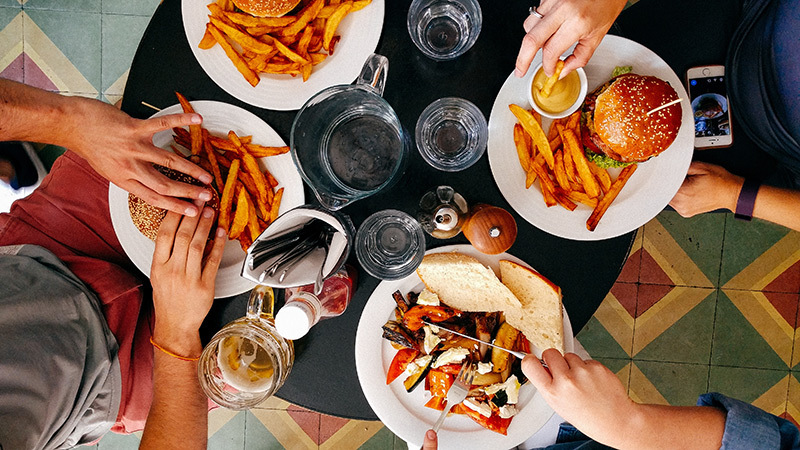 If you follow these five dining tips, eating out while maintaining your healthy lifestyle will be easier than you think. Part of the excitement of going out to eat is checking out the menu to see what’s on offer. 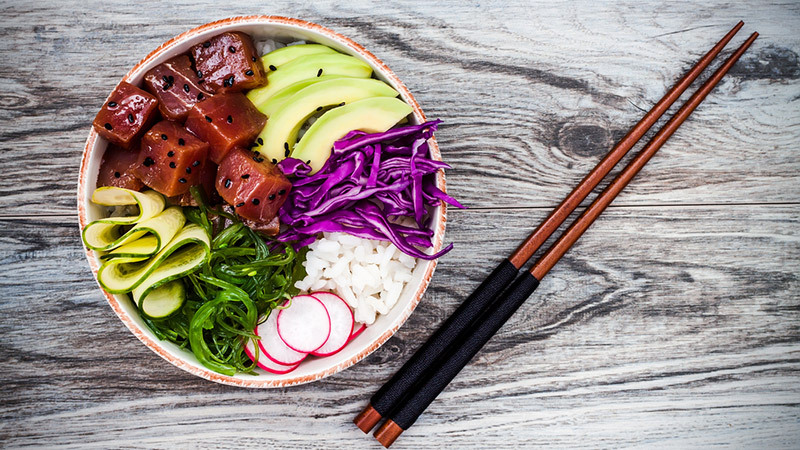 Some cuisines tend to be healthier than others, so opt for foods that are focused on vegetables, whole grains and lean protein, such as Mediterranean, Japanese, Vietnamese or Greek. Choose restaurants that source fresh and local ingredients — and beware chain restaurants or American, Italian or Chinese cuisines, as these tend to be less healthy. 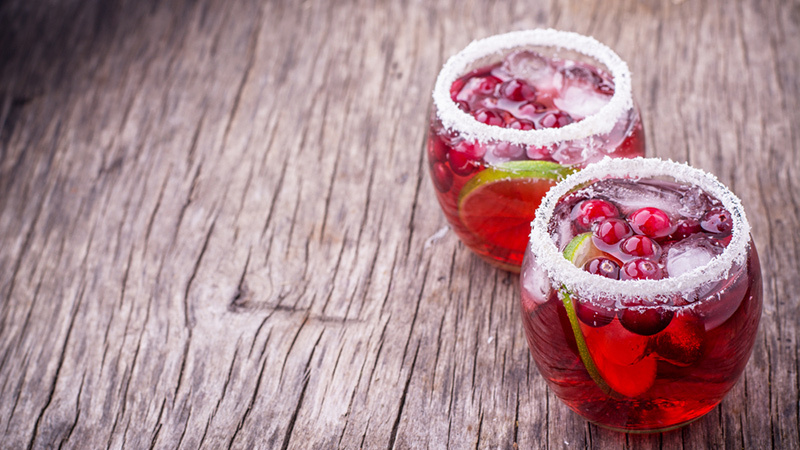 Alcoholic beverages are not only high in calories (which can add up quickly! ), but they can affect our eating habits as well. Just one drink can weaken the part of your brain that makes decisions, so that sugary, before-dinner cocktail could lead you to make a reckless choice when it comes time to order. Furthermore, a study from Princeton University psychology researchers have found that consuming alcohol releases the chemical neuropeptide galanin, which can increase cravings for fatty foods. If you must enjoy a bevvy, enjoy one low-calorie beverage (a glass of red wine, for example), with your meal and skip the sugary concoctions altogether. 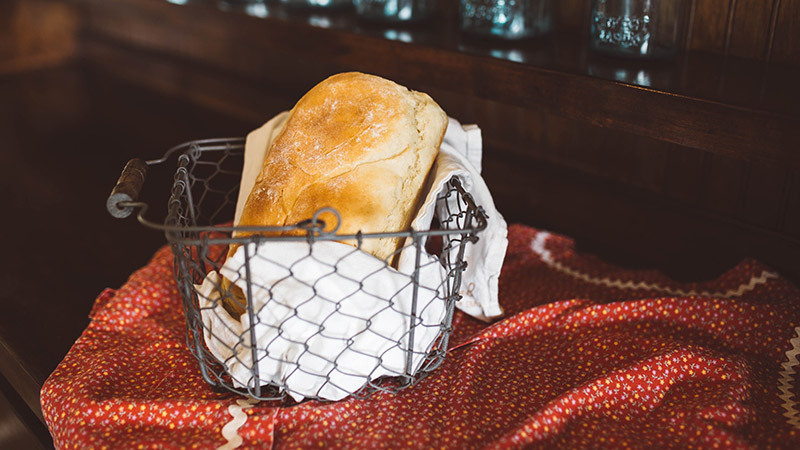 Ordering from a menu of decadent entrees can be extremely tempting on its own, but placing a basket of warm dinner rolls in front of your face is one more exercise in self-control you don’t need to partake in. Just one dinner roll with butter or oil can add quite a few calories to your meal, especially if you’re mindlessly munching. Instead of a bread basket, start with a simple garden salad before getting to your main meal. The high fibre and water content of the veggies will tide you over while you wait for your entree. Having a salad can also decrease your total caloric intake. One study found that women who ate a large low-calorie salad before their meal consumed 12 per cent fewer calories overall than those who did not. Remember to keep your salad low-calorie by asking your server to leave off toppings like bacon bits, croutons, and cheese, and put the dressing on the side. Do you absolutely have to have the chocolate cake from your favorite restaurant? 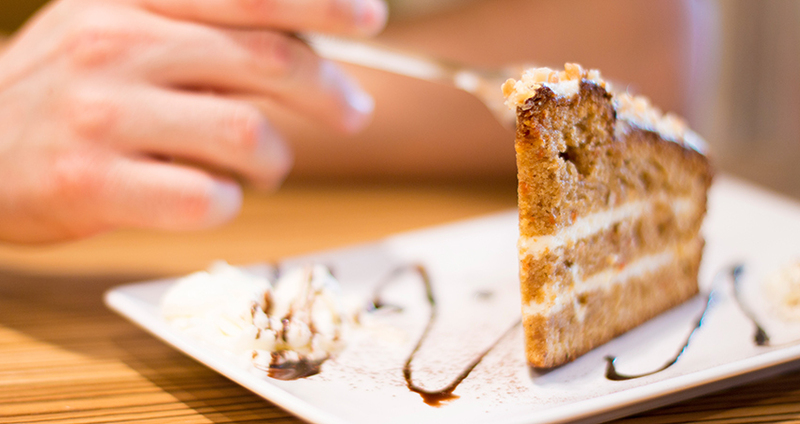 If you know before you order that dessert is a must-have, consider ordering it first. For thousands of years, Ayurvedic medicine practitioners have supported the belief that eating sweet foods at the beginning of the meal will keep your body in balance. Modern science has discovered that the Ayurvedic practitioners may have been onto something. Researchers at the Imperial College London have conducted studies on rats that suggest that eating sugary foods at the beginning of a meal could reduce your overall consumption. Of course, the best way to keep your meals healthy on a night out is to skip desert altogether, and enjoy some delicious fresh fruit, or an after-dinner coffee or tea instead. And for those of you who can’t imagine not eating dessert at the end of your meal, don’t fret – it’s good to indulge every now and again! Ordering a diet-friendly entree may not be as easy as you think. Many restaurants use unfamiliar cooking terms to describe their entrees. If you do not know what the term means, you might find yourself with a plate loaded with calories in front of you. 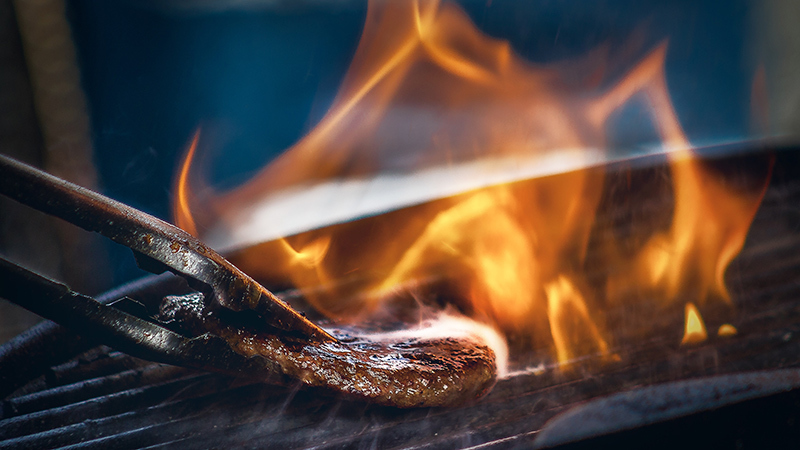 Stay away from fried, deep-fried, creamy, cheesy or other methods that are highly oiled or battered, and opt for leaner cooking methods like grilling, boiling, roasting, steaming and smoking. Think about it: You’re spending your hard-earned money and time on a night out, so take full advantage and savour the experience. Take your time, and don’t eat distracted. Avoid smartphones, televisions, etc. and instead, find a quiet table where you can focus on the company of your fellow diner and your fabulous food. With each bite, slowly catalog the different flavors and textures you are experiencing, and pay attention to when you’re feeling full. Not only will you eat less, but you’ll enjoy your meal that much more. I really appreciate your tip to consider replacing the bread at the beginning of your meal with a green salad! My wife and I really like to go out to eat since all of our kids are out of the house, but the both of us also want to eat healthier. I will be sure to ask for a salad instead of bread the next time we go out to eat! I found it really interesting that eating a lot of sugary foods at the beginning of your meal can reduce your overall consumption. My wife and I both really like to eat desserts, but we also want to lose weight. I will be sure to tell my wife that we should try and eat the desserts first so we ultimately eat less!